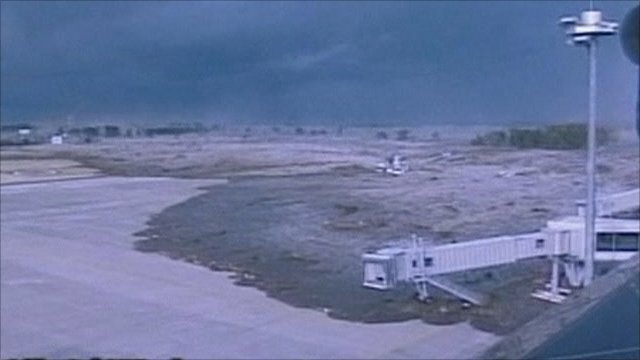 Sea water sweeps inland to engulf Sendai airport which is positioned very close to the shoreline. Sendai, a city of one million in north east Japan, is close to the epicentre of the earthquake. Here, a huge wave sweeps in across farm land, swamping all in its path. 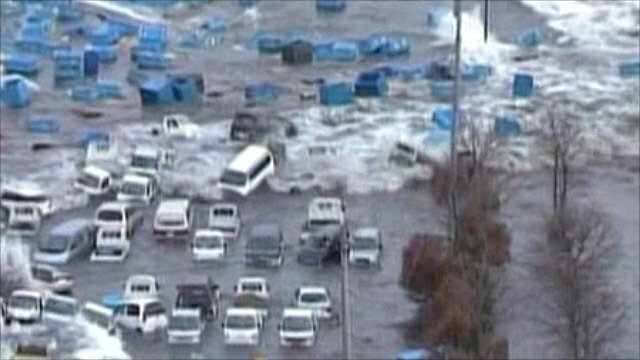 Cars and containers are tossed around by the force of the waves that crash into the port of Miyako after the earthquake struck further south. An explosion occurs at a major oil refinery along Japan's coast. Flames shoot hundreds of meters into the air. 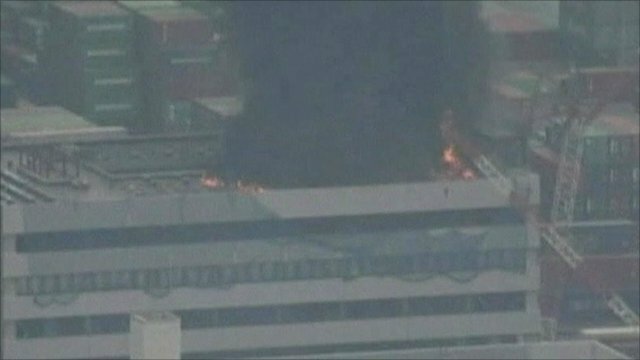 A huge plume of black smoke and flames leap from the top of a building in the Odaiba district of Tokyo. The biggest earthquake on record to hit Japan has caused widespread destruction across the country. 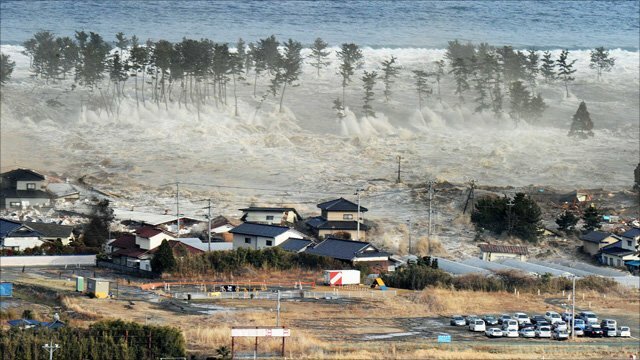 A 10-metre high tsunami, triggered by the tremor, has swept inland in many places swamping everything in its path. Ships, cars and whole buildings have been tossed around as if they were toys. One oil refinery has suffered a major explosion, a train is missing in the north of the country and many hundreds are missing. Return to video map of the quake aftermath.